Avon's Skin So Soft really does work as a flea repellent. The University of Florida tested the product and found that it reduced the number of fleas on animals. Avon says Skin So Soft has been tested and proven to have flea-repellent properties that last for six days after application. 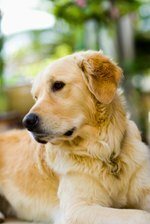 Not only does the woodsy fragrance of Skin So Soft keep fleas from biting your pets, but it also can help protect you. Spray on Skin So Soft before going to areas where you may encounter fleas. The product will keep fleas–and other insects–from biting you as well. Combine 1 part Skin So Soft with 5 parts water. Place the solution in a spray bottle. Mist on your pet's skin to repel fleas. Wash your dog in flea shampoo. Rinse your dog until no soap remains on the coat. Rinse your dog with a mixture of water and Skin So Soft.